Fruit trees can be a particularly rewarding part of the landscape. With a little extra effort, you can maximize the health of your trees and the fruit grown at home. Here are some tips from our growers as we think about the coming season. They seem like no brainers but we all need a reminder. Water young fruit trees well through this coming season. Everyone’s watering recommendations are different since our soils and sites are different. Check the soil with your fingers to see how moist it is. Think about soil moisture deeper down at the roots. We like gator bags or watering tubs that slowly drip for deep watering that reaches roos. Depending on the weather, you may need to water around 5 gallons per week. Keep grass and weeds from the base of the tree but put down the weed whacker! Be sure to do this with care and don’t damage the tree. Some mulch or compost is helpful too. Pruning is helpful for fruit trees mainly for air flow, and fruit spacing and support. We also prune for the “three D’s” – dead, diseased and dumb (crossing branches). Prune no more than about 20% of the tree at a time. A bad pruning cut won’t hurt your tree. Prune to buds on the outside of the branch. If you prune to buds on the inside, the branch will tend to grow inwards and later cross. Peaches – Prune in early spring while they are dormant. Peaches flower and fruit heavily and branches often break. You want to reduce the canopy so the tree isn’t overloaded. Take out crossing, close and repetitive branches. Apples – Prune in early spring to allow lateral branches that can support fruit. We like to aim for three branches spaced equally around the trunk. Move up, providing space and allowing for another whirl of branches. If you prune diseased branches, sterilize your pruners between each cut and dispose of material (don’t compost). Cedar apple rust -caused by a fungus that requires both cedar trees and apple trees. You first notice circular lesions on apple leaves that turn into brown threads or tubes with spores. Likewise, on cedars, brown calls form on twigs that produce funky, bright orange “horns” in wet spring weather. Peach leaf curl – this disease caused by a fungus is specifically found on peach and nectarine trees and is common in our area. It causes a characteristic curl on leaves. If you are going to try to prevent this disease, you should do so in fall or early spring as buds are popping. Both of these diseases won’t kill a tree immediately, but they can lead to defoliation which can reduce fruit productivity and overall growth over time. To prevent them, rake up and burn all leaf debris in the fall. There are also preventative, organic, fungicides that can deter them. With any home treatment method you use, always read labels and time application properly. Borers – the Prunus family (plum, cherry, peach) can be subject to wood-boring insects. These are flying insects that lay eggs at the base of the tree. Larvae bore into the trunk and branches, causing damage to the tree. You can tell your tree has borers if you notice weeping sap mixed with frass (the bug’s poop) that looks like goopy saw dust. We recommend keeping the tree healthy and well-watered so it’s less vulnearable. Keep an eye on trees in early spring, especially at the tree base. Hand-remove or poke boring larva with something sharp (like a wire), taking care not to damage the tree. Would you rather have 12 small peaches that didn’t ripen fully, or 8 full, juicy peaches? Would you rather have a branch break from being overloaded, or sustain itself for seasons to come? It’s helpful to thin fruit so that the fruits you harvest are large and well-developed. How much to thin depends on the species and the overall fruit load on the branch. Orchards recommend small stone fruits like apricots and plums be thinned to every 2 to 4″ apart on the branch. Peaches can be closer to 3 to 5″. Apples are different from stone fruit in that they produce a cluster of flowers and fruit from each bud. Thin to no more than on to two fruit per cluster. Remember, fruit trees can be biennial, where they have larger masts of fruit one year, and much less the next. You’ve waited all winter, spring and summer. The whole cherry tree is finally loaded with fruit. You’ve been eyeing it for weeks, waiting for the perfect timing to pick. You’re not alone. The birds and chipmunks can’t wait either and they’ve been patiently waiting too. We try to use netting as minimally as possible, but it can help protect fruit from critters. Some people build a frame for the net, and others drape the net and tie it at the trunk. Be sure to net after the tree flowers so pollinators can still visit. Net while fruit is green and remove the net after harvesting. Eventually, it’s hard to net large, mature trees so you may have to share some homegrown fruit with the critters. 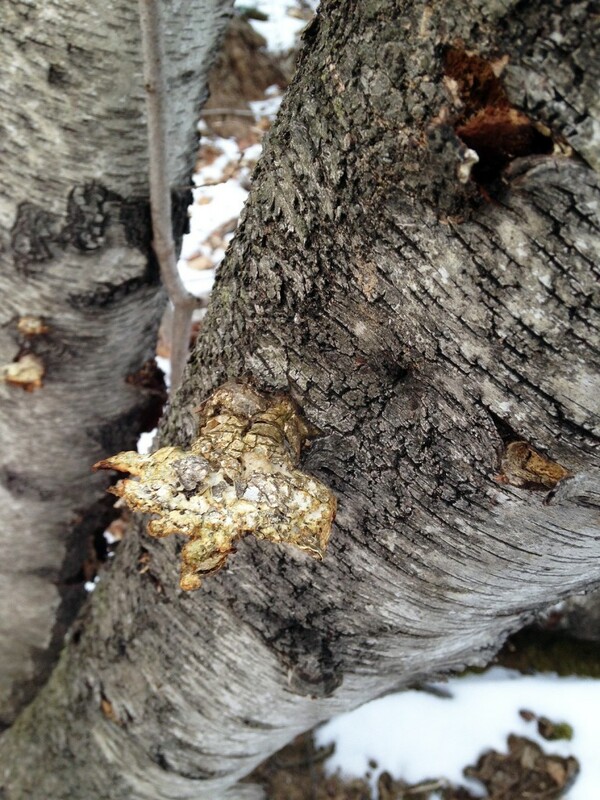 As for tree protection during the winter, we always recommend tree collars. They prevent rodents from chewing bark and causing girdling. Fruit trees really don’t need a lot of fertilizer, especially in the first and second year. It’s more important for the tree to be well-watered. Fertilizers may encourage more top growth an branch production versus fruit. The days are becoming longer and we are daydreaming about gardening more and more. Now’s a fun time to plan your gardens and landscape with the family. Having a voice helps make everyone feel a part of the project and responsible for its health. Bring the family together, sit around the kitchen table, and brainstorm everyone’s ideas of beautiful plants, fabulous flowers, delicious edibles, and other priorities. A rough map of your garden space is a great surface to gather around. Consider placing post-it notes with everyone’s ideas to narrow down. ORNAMENTALS – Perhaps flowers are a must for your family. Picking your own bouquets throughout the season will provide years of enjoyment. Plant low-maintenance perennials like peonies, echinacea, and Black-eyed Susan that bloom across seasons to extend color. Early-blooming trees like crabapples and serviceberry add color to the landscape and fruit for birds. Maples and oaks are lovely for their fall foliage and shade. Flowering shrubs like clethra, winterberry, and hydrangea can add privacy, blooms and wildlife value all in one. Be sure to remember bulbs in fall! If you missed planting them last season, don’t worry, we’ll have some potted up this spring. Some can go right in the yard, others in shrub and perennial beds. Plant dozens and don’t forget allium! Their balloon-like spikes bloom in purple, blue and white globes in spring. For very little work and money, your spring will come early and beautiful when you plant bulbs. Peas – An easy-to-plant, early season veggie that gets kids pumped for gardening. Witness a flower turn into a pea pod, plus sweet shelling peas are a discovery to open and tasty to eat. Be sure to wait for the soil to warm up a tad before planting, to at least 50-60 degrees. Potatoes – They’re fun to plant and are like buried treasure to harvest. Worried about space? Potatoes can easily be grown in deep containers or raised beds. Herbs – Not only are these valuable in the kitchen, but they open another sensory world. Introduce kids to fragrant rosemary, basil, chamomile, mint, and more. Fruits – Berry bushes like honeyberries, blueberries, rapsberries and blackberries are enjoyable for years to come. There are varieties available for small spaces too, even patio planters. MAINTENANCE – Ultimately the garden is the most fun when it’s low-maintenance and not a burden. Sustainable groundcovers reduce weeds and mulching. Creeping sedums, bearberry, low-growing junipers, even fruiting cranberry (yes like the kind at Thanksgiving) are all things that can be used to protect your soil, add to the landscape, and make time in the garden more enjoyable for all! Any evergreen you select can be used as a live Christmas tree that can be planted and enjoyed for many years to come. We suggest selecting a tree you most want to have in your landscape. After bringing the tree home, place it in a protected outdoor spot, such as the north side of the garage. Cover the roots with a bag of mulch to help prevent them from freezing. Mulching a couple of inches beneath the ball will prevent the tree from freezing to the ground. We also recommend placing a bale of straw or hay over the spot where you want to plant the tree to keep the ground from freezing. It really will! Sometime before Christmas, bring the tree to your chosen spot to celebrate with. Place the root ball in a bucket or garden trug and water. Stash the mulch for later use. Keeping the tree indoors for three days is ideal. After Christmas, bring the tree out to your planting spot. A spraying with Wilt-Pruf will keep the harsh winter temperatures from drying out the needles. Remove the straw and scrape off the sod. Dig the hole the exact depth of the root ball, no deeper, and two times wider. Plant the tree with the soil you just dug, adding only organic fertilizer to the soil. We use three handfuls of Pro-Gro by North Country Organics. Mulch with the mulch you stashed. In the springtime, don’t forget this is a newly planted tree and it’s necessary to water it as needed. You can also add three more handfuls of Pro-Gro to the mulched tree ring. Our Garden Center is happy to help and answer any questions you have. We carry a number of items mentioned above including: evergreens, mulch, bales of straw, rubber trugs, Wilt-Pruf, tools and gloves, Pro-Gro fertilizer, and more. Root vegetables like beets and carrots sweeten with cold weather. After your final harvest pull up annuals such as tomatoes, peppers, and beans. Remove leaf litter to help prevent the wintering over of leaf-borne diseases. Leave root vegetables for harvesting later, and brussels sprouts until after the Thanksgiving meal. You can also leave kale plants, as they tolerate some frost. Topdress cleaned beds with a light layer of compost. Once the bed is cleaned and prepped, it’s good to plant a cover crop to prevent erosion and weeds, to break up compacted soil, and to work into the garden later. Some gardeners rototill their gardens in fall with the belief this brings insect eggs to the surface to perish. The following season you may see less bug issues but there is no guarantee. Annual flowers and herbs last one season. After your final harvest and seed gathering pull up the plants and compost them. Woody perennial herbs such as thyme, savory and lavender don’t die to the ground so cutting them back late in the season can kill them. Herbs such as tarragon and lovage can be cut to the ground. A perennial is a non-woody plant that dies to the ground each fall while the roots persist through winter. New growth emerges in spring from the crown. Cutting back the entire perennial garden has become standard practice in recent years. There are pros and cons to this. Pros: It looks tidy. You get a jump on spring garden chores. Rodents cannot hide under stems and dead foliage, or live off the crowns of plants such as hosta, geraniums and daylilies. Cons: You’ve made the garden bare and unprotected from winter’s elements. Stems left standing will trap blowing leaves and falling snow. The layer of leaves and snow helps maintain a constant temperature and prevents intermittent freezing and thawing that can kill plants. Decomposed leaves are wonderful soil builders. Birds live on bugs in the summer, and seeds and berries all winter. Leaving your grasses and coneflowers standing provides a natural food source all winter. Cut back hosta leaves in early October before they turn to mush after a frost. Set out rodent traps beginning in August when critters are preparing their nests for the long winter. Protect your tree investment with a $2 tree collar! If you have newly planted young trees, especially fruit trees, wrap plastic tree guards around the trunk from the ground up. Tuck the bottom end into the ground. This is your best method to prevent mice and voles from girdling the tree, and will be the best $2 you spend on your landscape. Prune Hydrangea paniculata in fall or spring. Prune plants that bloom on new wood in late summer or fall. Hydrangea paniculata, in particular, benefit from a sharp pruning that helps strengthen branches. Shrubs that bloom on old wood, such as lilacs, should not be pruned in the fall. Doing so will remove all of next spring’s flowers. Newly planted shrubs (and trees) should be well watered right up to frost. If winter is light on snowfall and spring is light on rainfall, resume supplemental watering in the spring. Plants begin to “shut down” and prepare for dormancy in late August when the days shorten and evening temperatures cool. You should stop fertilizing and adding compost to plants at this time. Late season feeding can trick a plant into growing, especially if we are treated to an Indian Summer. People often walk up to a Paperbark Maple growing in our fields and ask “What kind of birch is this?” They are always surprised by the answer, “It’s a maple!” Why the confusion? The Paperbark Maple is so named for its beautiful cinnamon-colored exfoliating bark. Huge curls peel back to reveal a lighter, rosy-brown inner bark. Paperbark Maple (Acer griseum) was first introduced in the United States in 1907 by Ernest Henry Wilson who collected seedlings of the tree during a plant finding expedition in China. Two of these seedlings were planted at the Arnold Arboretum in Massachusetts where they are still thriving today. Between 1927 and 1945, seedlings were distributed to nurseries throughout the United States. The tree has become a popular specimen in American landscapes. So why should you grow it? It has many appealing attributes beyond its gorgeous bark. This is a small tree, growing between 20-30 feet tall, with an interesting branch structure that does not require pruning to maintain. The small cut-leaf leaves are not typical of what one thinks of as a maple leaf. Rather, each leaf is comprised of three leaflets that are an attractive, lush green until late autumn when they turn a brilliant orange-red (a lovely subject for watercolor). Paperbark Maples are easy to grow. They prefer average, well-drained soils in full sun or part shade. While they will be slower to mature, they will tolerate clay soils. Even though a Paperbark Maple does not compare in height or width to the Sugar Maple, it can still be considered a shade tree and is especially useful in small yards or as a focal point in a garden where it can be underplanted with perennials, short-growing shrubs, and bulbs. Vermont winters are not my favorite. Being shut in, separating indoors from outside is such a different way of daily living for me compared to the warmer months. In order to survive and stay sane, I make myself spend at least an hour outdoors every day no matter what the weather. I live on a parcel of land that has both fields and woodlands. In winter the woods are most interesting to me. Every plant is stripped bare. Trees in all their rugged grandeur really catch my attention (as do the abandoned birds nests). I started looking at tree bark more closely and realized that it is quite unique from tree to tree. Smooth, jagged, grooved, covered in lichen and fungus, peeling, dark and light. It is great inspiration for all sorts of art. I can see wallpaper, fabric patterns, felting designs, embroidery designs, carpets and more. Yesterday on my woodland walk I snapped a bunch of photos which I am sharing here. If you want to learn more about the role of bark on a tree I suggest reading the following article; Bark has a lot in common with human skin by Joe Rankin. The last photo is not taken in Vermont. I saw it as I was walking down a street in Lisbon, Portugal. My daughter thinks it could be the inspiration for camouflage cloth. If you want to see the majestic Black Locust and Horse Chestnut that I photographed, you can come to Horsford Gardens and Nursery from April through December.